Fig Leaf Software Blog: Upgrading to Ext JS 5 in Five Easy Steps! Upgrading to Ext JS 5 in Five Easy Steps! Historically, the upgrade path between different versions of Sencha Ext JS has been challenging for developers and product managers alike. Much to the chagrin of project managers everywhere, migrating apps from Ext JS 3 to Ext JS 4 typically required major refactoring, frequently necessitating a complete rewrite. The complaints of the IT community were clearly heard loud and clear by Sencha which, I’m happy to report, has actually made the Ext 4 to Ext 5 upgrade path nearly seamless. 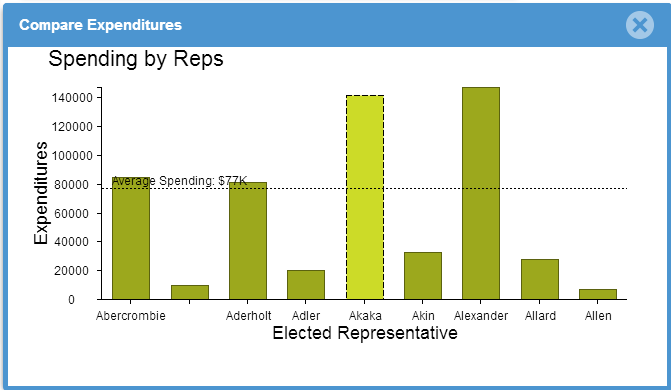 Ext 5 adds support for a drag & drop dashboard component, an improved combo box with tag selector, and grid widgets. The new charting engine is going to be shared with Sencha Touch. It’s a lot simpler for developers to add additional sprites to the drawing layer and floating axis and more complex user interactions are now supported. Sencha has also cleaned up some of the chart config properties (e.g. axis types are now all lower-case) to make it more consistent across the framework. Since the charts are now SVG/Canvas based, client-side methods have been added that enable a user to download the generated chart as a bitmap. You won’t have to rely on the Sencha.io cloud service anymore to convert vectors into bitmaps. 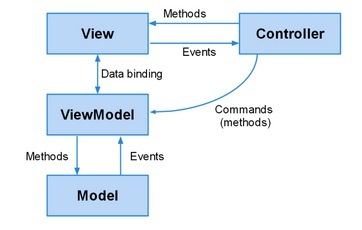 You now have the option of using an Model-View-ViewModel (MVVM) architecture instead of the Ext 4.x MVC framework. MVVM enables you to use views expressly for layout while compartmentalizing event handling into a separate, view-specific file. ViewModels enable you to easily implement bi-directional databinding with your views, which significantly cuts down on the amount of code that you’ll need to write (and debug!). Most apps are going to require multiple views of the same data store. For instance, you might want to simultaneously output two grids that refer to the same core dataset but have different client-side filters applied to them. In Ext 4 this typically required the instantiation of two separate stores and the duplication of records in memory. Chained stores are analogous database table views. They link back to a single “source” store containing your records. The chained store’s filters, sorters and groupers are defined independently of the data “source” Any updates to the source store automatically triggers a refresh in its associated chained stores. I saved the best for last. Ext JS 5 now supports touch gestures (pinch, rotate, longpress, etc) and comes bundled with two touch-compatible themes – “Crisp” and “Neptune Touch.” You’ll likely need to make some slight changes to your layouts after applying these themes, however, in most cases you should be able to support both desktop and tablet browsers from a single codebase. 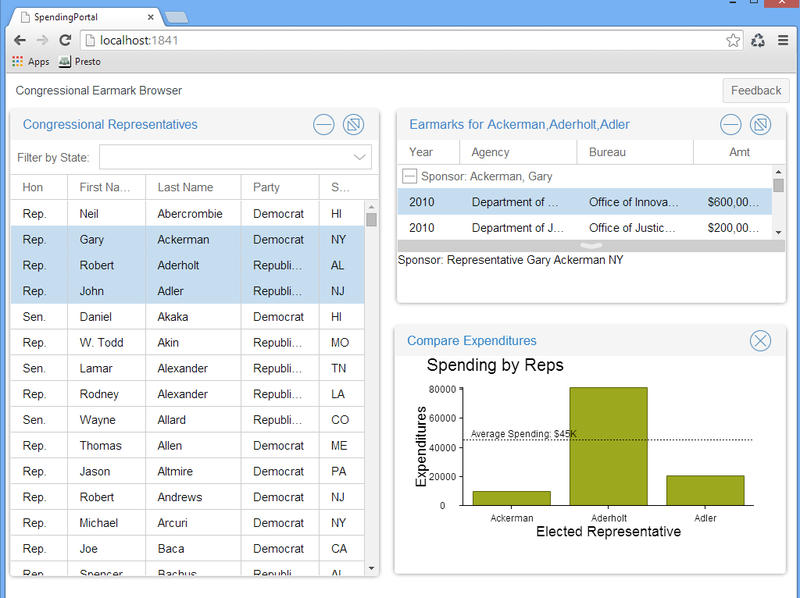 During this tutorial, you’ll upgrade the Congressional Spending Portal – an app that I had initially developed using Sencha Architect in Ext JS 4.1. Note that Sencha Command will automatically download and install the latest version of Ext 5 from the CDN! Cool! Tweak the /extjs5upgrade/spendingportal/app.js file to set autoCreateViewport to true. Test the app in your browser by accessing the URL generated by Sencha command (typicallyhttp://localhost:1841). Congrats! Now that you’ve gotten the app up and running on Ext 5, you can start to improve upon it by invoking the broad range of new features (including Sencha Charts!) that have been added to the framework. Check back here often to learn about new Ext 5 tips, traps, and techniques. 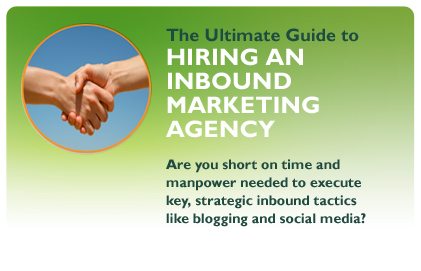 And consider engaging Fig Leaf Software for your Sencha consulting and training needs!